Monday Music No.18 – I just want more. Today and next Monday will be original songs and a little story behind the song. This week is a song co-written with my neighbor, Desiré Pierce. She wrote the majority of the lyrics and I filled in the rest. Our apartment building, and other friends, gather weekly to worship and pray together in the first floor breezeway. We wrote this song with that community in mind. 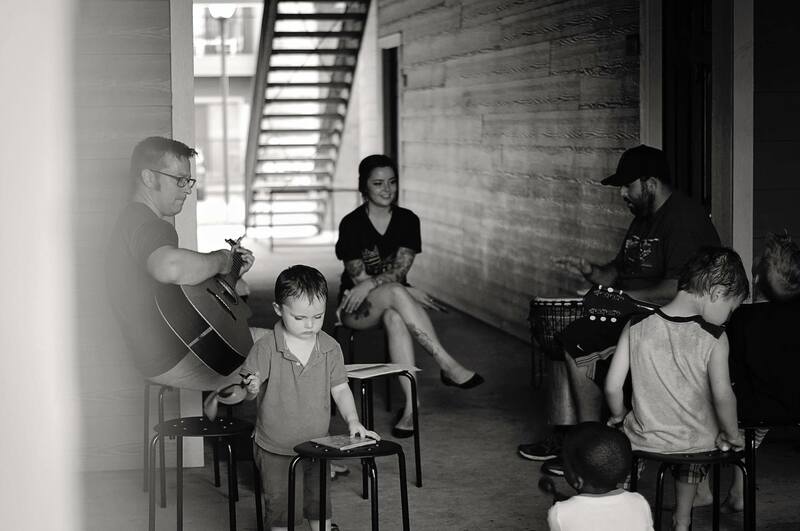 I was recently challenged by a good friend, Jon Shirley, to write songs that can be easily learned, yet lyrically rich, and directed, as a community, to God. This would include repetition of words and melodies, but thoughtful enough that after being sung a few times, the worshipper still has room to dig deeper into the meaning and sing them from the heart. Many times we just sing a repetitious song and hope it’s done soon. In this case, we hope that in the repetition, those singing will continue to pray those words as a conversation with God and listen to His heart and over time, God would reveal Himself as they allow the words to really sink into the soul. Worship is War. It’s a war against Satan, who wants to entangle and tempt us with a life of desire and passion and craving for more of this world’s stuff. He wants us to get sucked into excess and things that will distract us from the true source of life : Jesus. So often, we get into a loop of “more, more, MORE!” The sad thing is that we often don’t notice until it’s too late. We worship God to give Him the glory. He promises that where “two or more are gathered,” Jesus is there. As we worship, we are calling on the power of God to intercede into this place, cast out the darkness and spread His light. Reminder why we’re here: To call on God’s name and worship Him and to build community through relationships. We start with this, because we want to remember that, above all else, we want more truth, life, love and Jesus in our lives, in our relationships, in our homes and in our apartment complex. We want to live in a community filled with the power of the Holy Spirit, who is changing our hearts to be more like His and changing and restoring lives. Giving hope to the hopeless. Peace to the restless. Love to the broken. I pray that as you read these words and sing this song, it’s also your prayer for your community, home and life. We need more of Jesus…before anything else. Amen. Acts 17:24-27 The God who made the world and everything in it is the Lord of heaven and earth. He doesn’t live in shrines made by human hands, and he isn’t served by people as if he needed anything. He himself gives everyone life, breath, and everything else. From one man he made every nation of humanity to live all over the earth, fixing the seasons of the year and the national boundaries within which they live, so that they might look for God, somehow reach for him, and find him. Of course, he is never far from any one of us. NOTE: This week we just have audio, so sit back, close your eyes and enjoy a few minutes of worship and prayer with God! If the audio player doesn’t appear below, CLICK HERE TO LISTEN.